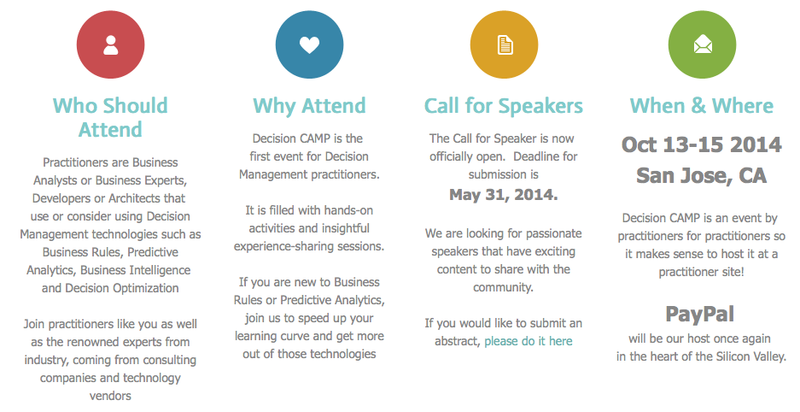 Decision Camp, San Jose (CA), October 2014, is only one month away, and is free for all attendees who register. Follow the link here, for more details on agenda and registration. The upcoming Drools and jBPM community 6.2 release will be adding support for Maven multi-module projects. Walter has prepared a video, showing the work in progress. While not shown in this video, the multi-module projects will have managed support to assist with automating version updates, releases, and will have full support for multiple version streams across GIT branches. There is no audio, but it's fairly self explanatory. The video starts by creating a single project, and then showing how the wizard can convert it to a multi-module project. It then proceeds to add and edit modules, also demonstrating how the parent pom information is configured. The video also shows how this can work across different repositories without a problem - each with their own project structure page. Repositories can also be unmanaged, which allows for user created single projects, much as we have now with 6.0 and 6.1, which means previous repositories will still continue to work as they did before. Don't forget to switch the video to 720p, and watch it full screen. Youtube does not always select that by default, and the video is fuzzy without it. Roger Parkinson did a nice blog on how to setup the Kie Server 6.2.Beta version to play with. This is still under development (hence Beta) and we are working on improving both setup and features before final, but following his blog steps you can easily setup your environment to play with it. Only one clarification: while the workbench can connect and manage/provision to multiple remote kie-servers, they are designed to work independently and one can use REST services exclusively to manage/provision the kie-server. In this case, it is not necessary to use the workbench. 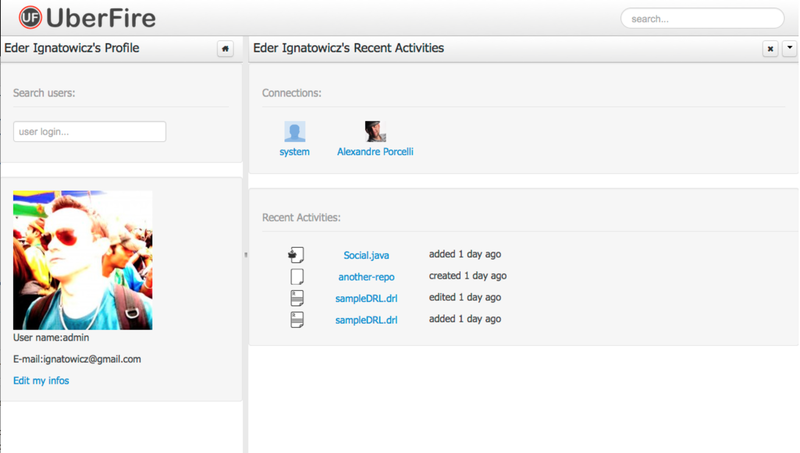 The next Drools and jBPM 6.2 release will include new Activity pages, that provides insight into projects. Early versions of both features should be ready to test drive in the up coming beta2 release, end of next week. The first Activity page captures events and publishes them as timelines, as a sort of social activities system - which was previous blogged in detail here. Notice it also now does user profiles This allows events such as "new repository" or "file edited" to be captured, indexed and filtered to be displayed in custom user dashboards. It will come with a number of out of the box filters, but should be user extensible over time. We have a video here, using an old CSS and layout. 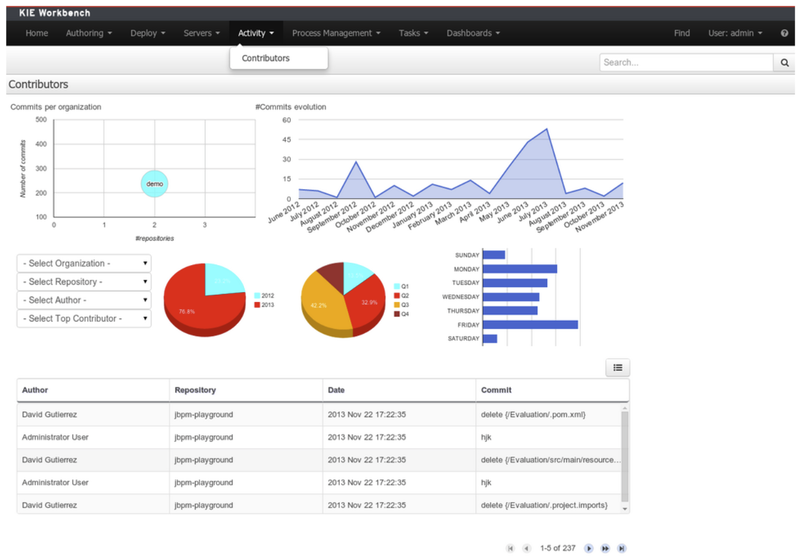 The aim is to allow for user configurable dashboards, for different activity types. We have also added GIT repository charting for contributors, using the DashBuilder project. There is a short video showing this in action here.